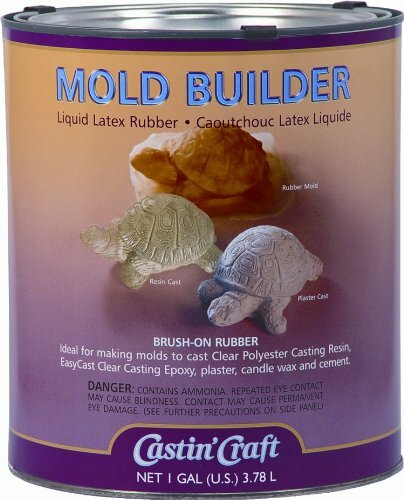 Mold builder is a natural latex rubber that is quick drying, economical to use, peels easily from model, flexible and stretchable, harmless to most surfaces. Now you can duplicate figurines, sculptures and other items with safe, brushable latex rubber. 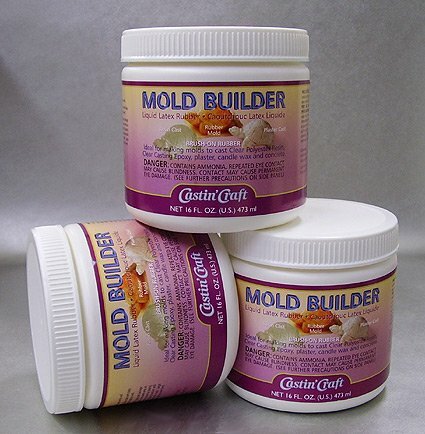 Mold builder will not stick to metal, clay, ceramics, plaster, wood, or plasticine clay. Mold builder molds are durable, reusable, and economical to make. The molds you make from mold builder can be used to cast paper, plaster, candle wax, soap, casting resin or casting epoxy. 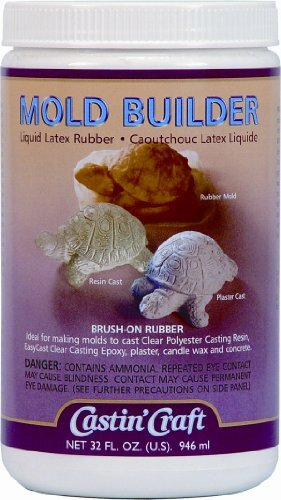 Mold Builder Liquid Latex Rubber...Genuine liquid latex used for making molds to cast clear resin casting epoxy plaster candle wax and concrete. Contains natural latex and ammonia. Please use proper precaution when handling this product! A high solids latex for those who wish to make figurines or products out of cement or plaster. HX-874 Latex is low ammonia formulation with a high solids content. It produces a superior mold of extraordinary resistance to the pouring of concrete and plaster. 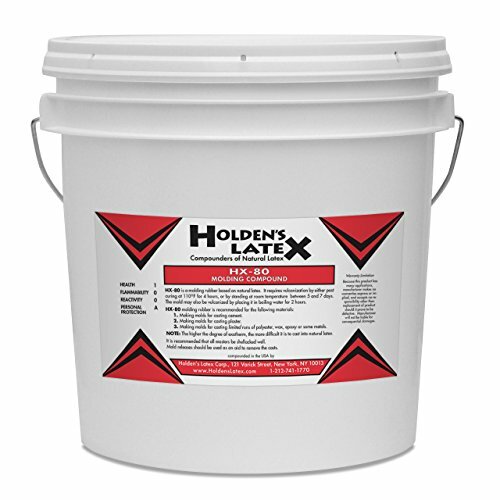 The HX-874 Latex produces fine line detail, gives long mold life and remains flexible for long periods of time. 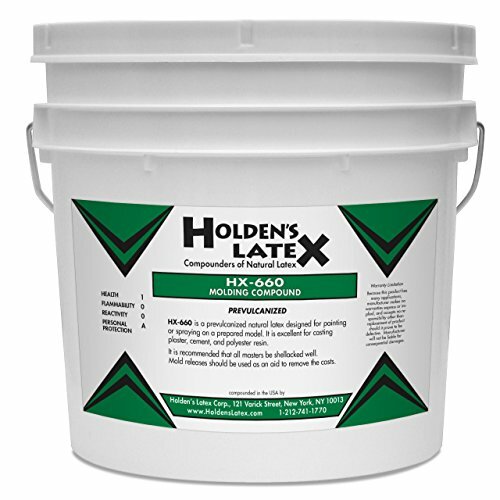 HX-660 Latex is the pre-vulcanized form of HX-80. It was designed specifically for short run polyester work. When polyester resins are cast into natural Latex, a tackiness develops on the surface of the rubber and/or polyester cast. This is due to free sulfur not combining with the mold. 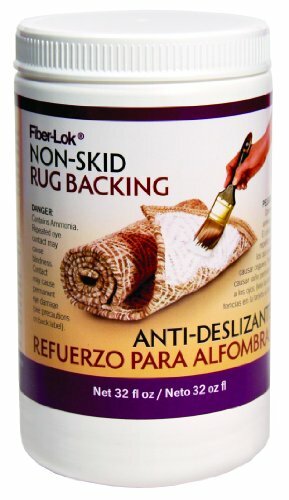 The problem can be solved by using a pre-vulcanized Latex such as HX-660. Pre-vulcanized molding compounds contain no free sulfur on the surface and can therefore be used for short run polyester resin casting; avoiding the necessity of an aluminum or plaster separator during the curing process. 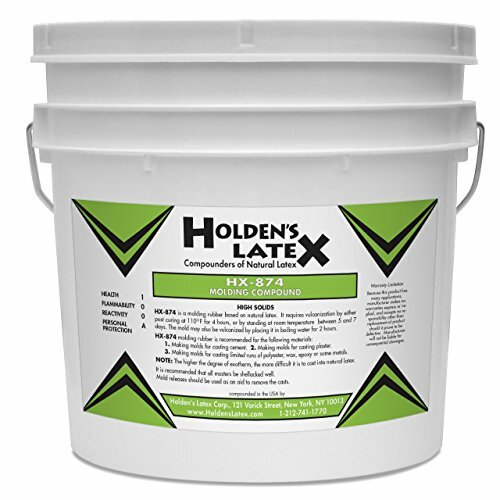 HX-660 is also an excellent cleaning aide for architecturally significant concrete. Simply brush on a few layers let dry, and peel. Dirt, and grime will pull away with the latex skin. A high solids vulcanizeable Natural Latex compound. HX-80 is a vulcanizeable Natural Latex compounded from specially processed Latex with a high solids content, which minimizes shrinkage.HX-80 is therefore suitable for making rubber molds by painting, brushing or spraying.The special method of compounding, and its high solid content, permit reproduction of the finest detail.Its major uses have been in the manufacture of ornamental concrete, imitation stone, resin figures, wax candles, and isostatic molding bags. 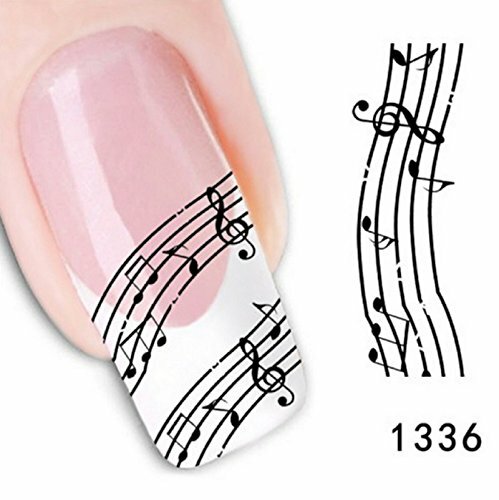 4PCS Nail Art Sticker Black White Stave Lace Fingernail DIY Decoration Nail Decals Manicure Foil Makeup Tool Nail Adhesive Tapes How to use nail stickers ? 1. Trim, clean, and polish the fingernails. Paint the background color on the fingernails and dry it out. 2. Remove the film of product, cut out the pattern and plunge it into water 1---20 seconds(use warm water in winter). 3. Moisten the fingernails, pick the patter in position. 4. Sop up the water with a paper towel and blow dry. 5. Cap with clear nail polish and blow Dry. Notice 1 Simple and easy to use - with brilliant looking results 2 Safe to use: no toxins will leak into your nails 3 Can be used on natural or false nails 4 Very elegant, easy to match any nail colour 5 Each piece is for 1 card/sheet of nail sticker, enough for 1 full set 6 Brand new in plastic bag, instructions included 7 Attention please,this is just a piece of nail sticker, the nail tip is just to show the effect of nail stick Package: *1 piece nail sticker opp bag. Compare prices on Mold Builder Liquid Latex at ShoppinGent.com – use promo codes and coupons for best offers and deals. Start smart buying with ShoppinGent.com right now and choose your golden price on every purchase.